This impressive 26 stop A.B. 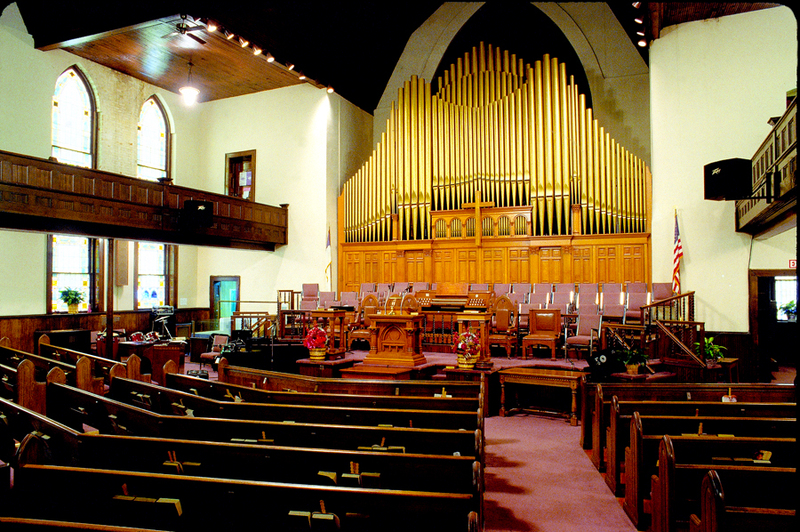 Felgemaker organ was built in 1901 for First Baptist Church, Asheville, and was moved to its current location in the 1920’s. We renovated the instrument in 1999, adding a new terraced draw knob console and 5 new stops, including a wooden pedal 16′ Trombone.